Introducing the hybrid rudiment “Book Report” paired along with the cheese. Book Reports can be intimidating but don’t let that discourage you! With this exercise we take partials to the next level, adding flams and diddles to the mix. First you want to break down the Book Report! IF you think about it the only technical aspect is stick height if you already know how to execute the diddle or flam partial. notice that the flam in the Book Report isn’t accented so just practice playing it low but still giving the dominate note of the flam just a little more height than the grace note. After you get the Book Report down proceed to the next measure. The second measure is just a variation of 3’s with diddles and cheese. 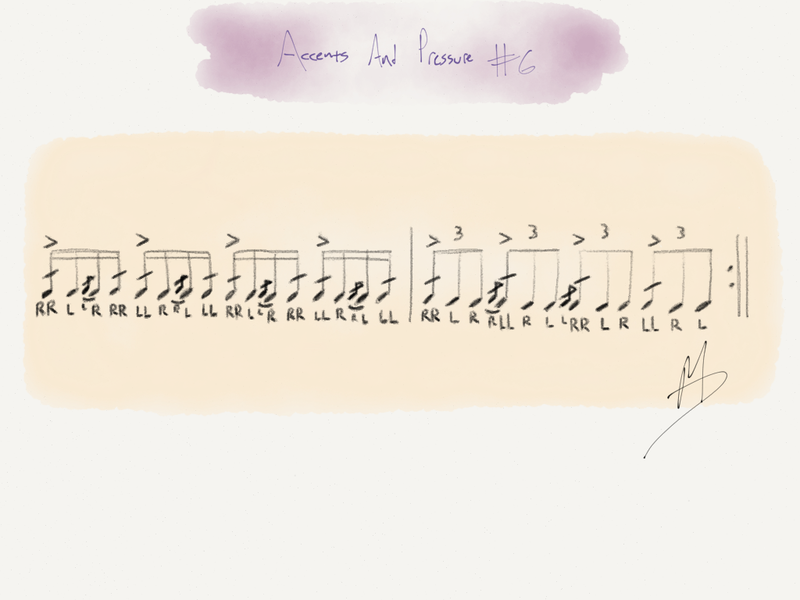 This whole exercise is meant to stress stick height and adding partials to the notes. Start slow like always and focus on the pressure applied and released from your fulcrum. Have fun! ← Daniel Glass Performing At PAS Day Of Percussion This Saturday!